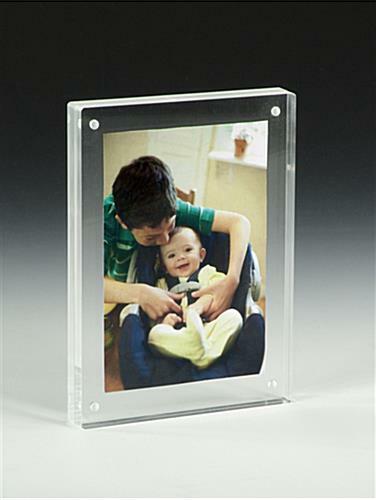 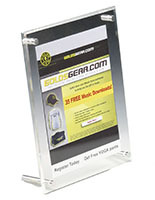 3.5" x 5" 4" x 6" 4" x 10"
These 5" x 7" clear photo frames may be used in either portrait or landscape orientation. 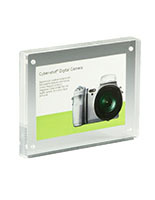 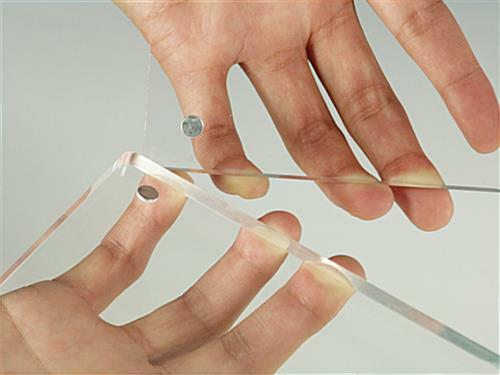 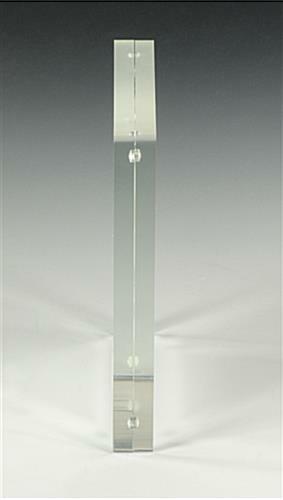 The picture holders include 4 magnetic pegs to hold the photo tightly between its two clear acrylic panels. 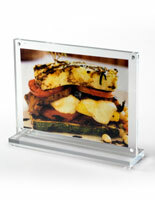 Photo frames with thick paneling, also called graphic displays, are made specifically for use on flat surfaces. 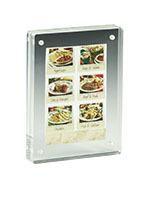 Picture holders can be used to present merchandising images or branding blocks. 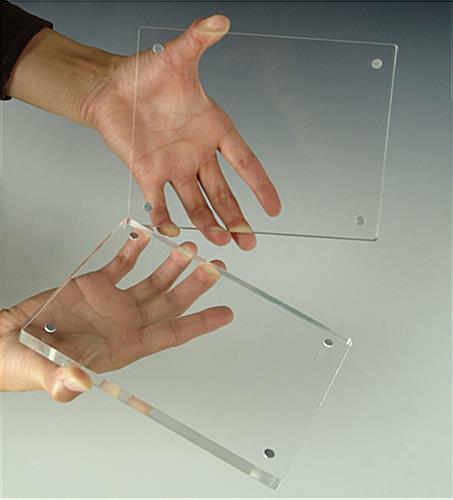 Frames have polished edges for smooth appearance. 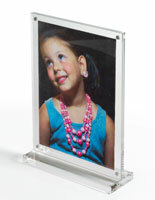 Graphic displays are completely transparent and without framing to keep the focus on the installed content. 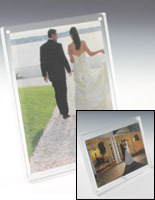 Thanks for the feedback, Angela! 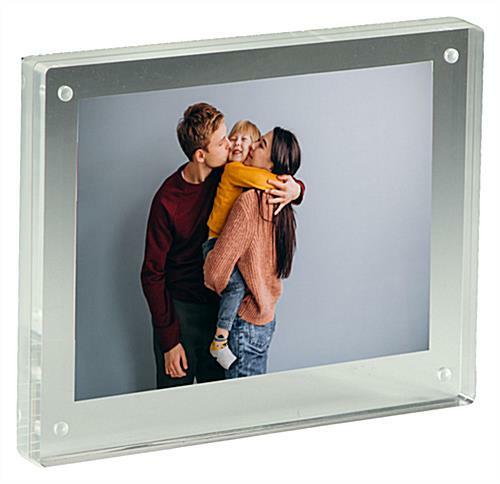 We hope to hear from you again!